Even after nearly nine years living in France, I still make constant new discoveries. They’re especially fun when it comes to food, so I’ve decided to start a new series of short posts called “What’s a…?” to best share some of these finds. 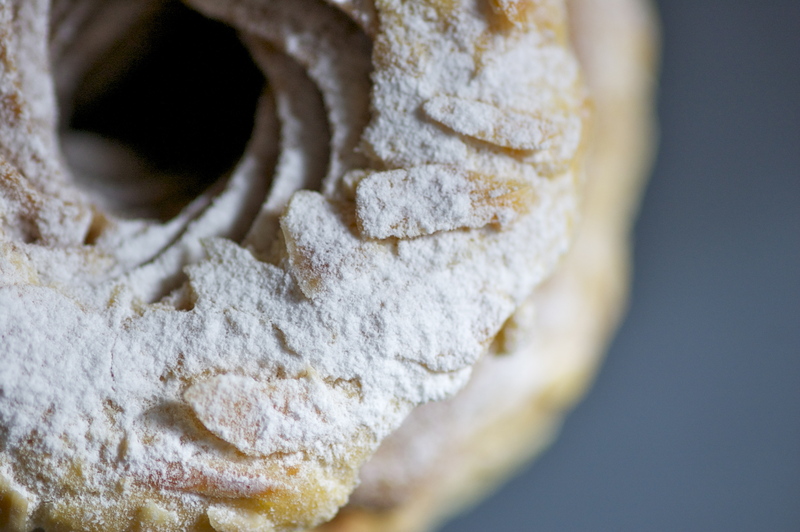 Here goes the first one: What’s a… Paris-Brest? It’s a traditional French dessert named after a 19th century bicycle race. The Paris-Brest-Paris was a 1,200 kilometer competition created in 1881 by journalist and sports enthusiast Pierre Giffard. In 1910, he asked pastry chef Louis Durand to make a dessert in honor of the race, thus the round shape with a hole in the middle; it represents a bicycle wheel. The pastry consists of three layers: a pâte à choux (a sort of puff pastry commonly used in French desserts – think of éclairs for example) on the top and bottom and a crème mousseline in the center. This is what makes the Paris-Brest special as the middle is a melt-in-your-mouth combination of French pastry cream, butter and praline. The whole is topped with slivered almonds and powdered sugar. 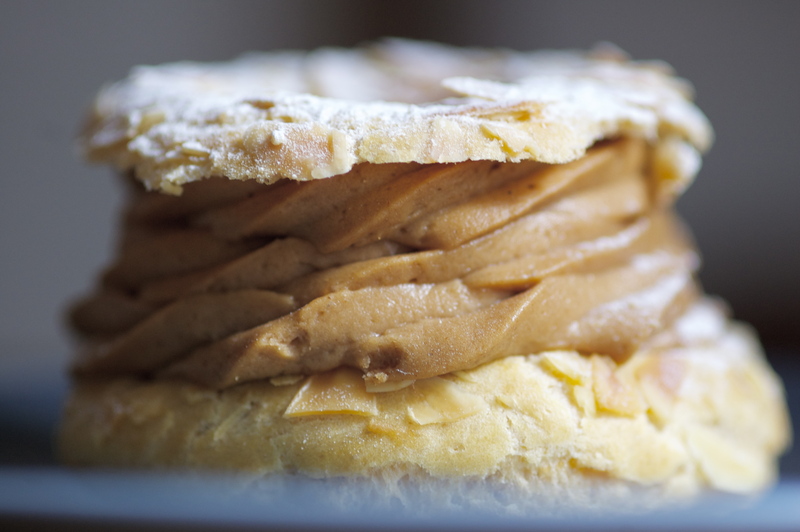 The last Paris-Brest-Paris took place in 1951, but its legacy continues thanks to this dessert. Today it’s a staple in any French bakery. This entry was posted in French Cuisine Today?, What's a...? and tagged dessert, nuts. Bookmark the permalink.